DJW GB, Neruda, do_checkdate and 6 others like this. Slava Sekonda, boxed with what I think it's the original expanding bracelet. A bargain at twice the price! Well, maybe not quite that much but a bargain anyway. SennaGTS, elsoldemayo, DJW GB and 2 others like this. kev80e, elsoldemayo, cptwalker and 3 others like this. MattBrace, cptwalker, DJW GB and 4 others like this. Can we see the paperwork that goes with the Vostok please, it's a rare case type and not currently listed on the Vostok database. liahim and cptwalker like this. Last edited by MattBrace; October 2nd, 2017 at 19:59.
oscarfranciscovich, DJW GB, do_checkdate and 3 others like this. New arrivals for today PART 1. 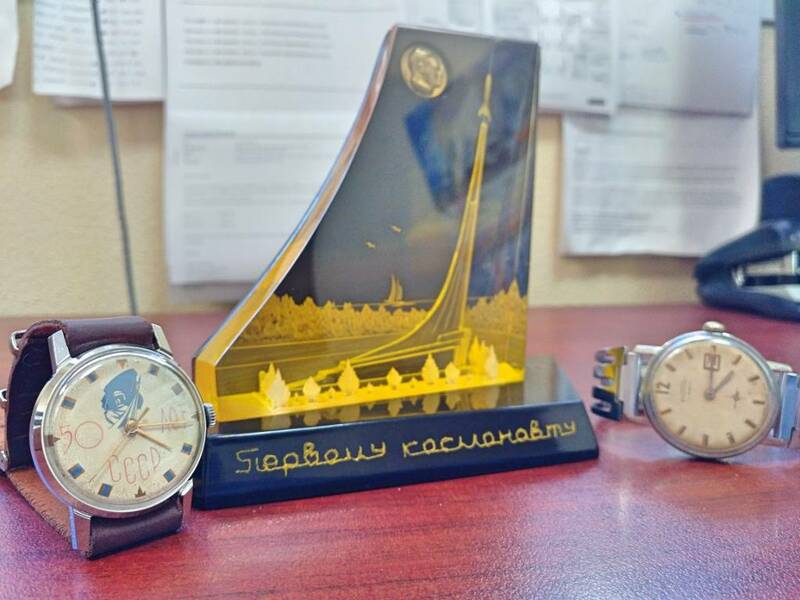 Gagarin monument + civilian Wostok + NOS case for the 50 years USSR anniversary ZIM that I received last week. Neruda, elsoldemayo, DJW GB and 4 others like this. DJW GB, oldfox, armanh and 2 others like this.